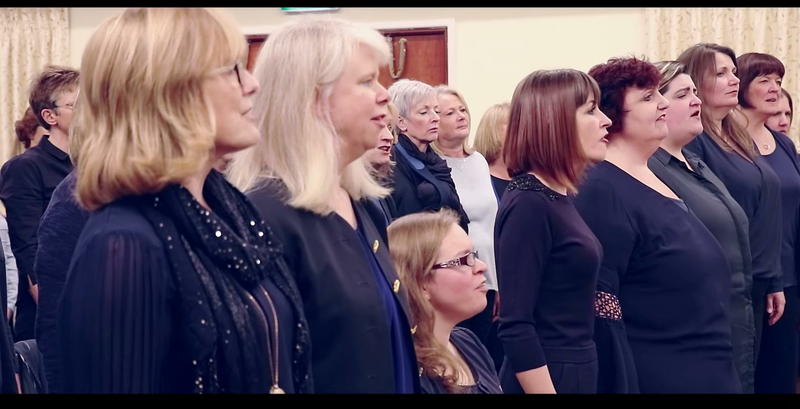 Sweet Charity Choir performed Come Alive in order to raise awareness for Music Support UK, and Foo Fighters gave the cover their seal of approval. A choir covered Foo Fighters for a great cause, and was given a thumbs up by the band themselves. Sweet Charity Choir gave their moving take on Come Alive end the end of last year to raise awareness for music support charity Music Support UK, and organisations which tackle depression and suicide around the world. Watch them cover the song, which comes from the band's 2007 Echoes, Silence, Patience & Grace album above. Ahead of the performance, the video reads: "Every year we lose incredible artists in the music industry to suicide. "Over 50% of roadies and other music industry professionals have attempted or considered suicide, and most of them have not sought help. "We at Sweet Charity Choir feel that singing can provide light in dark times, and being part of a music community could change your life. "We want to raise awareness of Music Support; a Charity in the UK run by volunteers within the music industry who provide a confidential helpline for anyone in the music profession who needs help." They concluded: "This is our way of saying thank you, not only to Music Support in the UK, but also to the hundreds of other crisis charities across the world and their thousands of volunteers. "We also thank the Foo Fighters for creating this incredible song that moved us to try and do something." And the charity were repaid the favour by the band, who shared their moving tribute on social media, where frontman Dave Grohl wrote: "Thank you Sweet Charity Choir & Music Support for such a beautiful rendition of "Come Alive"...and for making this song of hope even more hopeful. Perfect way to ring in the new year... Dave".